In the news these days, there are hundreds of stories of children who have been horribly abused, neglected, or even murdered by either their mothers, their fathers, or significant others of their biological parents. The one aspect that is always common in the comment threads are people who comment saying, “Why would a parent harm their child. Give me that child,” or “I cannot have children, and I would have loved to have had that precious child.” If someone truly feels that they could have been a great parent to an abused and/or neglected child, then they should look into adoptable foster kids so that when one of these stories come out, they may have a real shot of being a parent and a savior for these children. I see so many stories on social media of people saying they would love to be a parent. They would love to help a child in need. They would love to adopt a child who needs a family. So if this is the case, and these people truly feel this way and truly have this need in their hearts, why are they not looking into adopting from foster care? 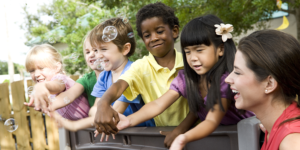 There are over 100,000 children currently adoptable in the United States foster care system. There are a number of excuses I’ve seen given for not being foster parents or not adopting from foster care that I will try to squash in this article. 1. It costs too much to adopt a child. Did you know that often times adopting a child from foster care costs absolutely nothing? I paid NOTHING out of pocket to adopt my son from foster care. Also, under certain circumstances, a child who is adopted from foster care qualifies for a subsidy every month until the child is 18. 2. I couldn’t foster because if they returned to their families, I’d be heartbroken. I’d get too attached. Yes, you will become attached, but that child needs someone who attaches to them, someone who loves them, someone who fights for them even if it’s for a short amount of time. Not all foster children return home, and if you’re fostering that child and that child becomes available for adoption, the foster parents usually have first rights to adopt that child if they want to. 3. Children from foster care are damaged, and you never know what you’re getting. Yes, children from foster care often come with mental, emotional, physical, and developmental delays due to the environments they were pulled from. These problems, though, are not always permanent, and with proper counseling and therapy, often children will thrive and will recover from the traumas they suffered as young children. No one is perfect, but everyone deserves love. Even if you were to adopt a child who was never in foster care there is no guarantee that child wouldn’t have some of the same difficulties. 4. Children from foster care are difficult. Yes, the majority of children who come into care have behavioral problems at some point in their lives. These children have been traumatized by a number of factors: drugs, violence, homelessness, lack of education, abuse (sexual, emotional, physical, mental, verbal). I won’t lie and say they aren’t difficult, but all children can be difficult especially at certain phases of their lives. With proper support, counseling, and therapies, the majority of these children find other ways to cope rather than acting out. 5. I can’t adopt because I’m not married, don’t own my home, lacking wealth, etc. The truth is YES YOU CAN. I became a foster parent as a single woman at age 34. I rented my home at that time, and I’m certainly not rich. 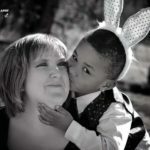 I have one beautiful adopted son from foster care who was my first placement as a foster parent. If I can do it, so can anyone else as long as you can provide a safe home, financially support them, and are free of a criminal history. Visit Adoption.com/photolisting to view adoption photolistings of kids for adoption.